We’re working with a consortium of housing providers across Kent, to enable residents to use the internet and develop their digital skills. The consortium includes Town & Country Housing Group, Orbit, West Kent Housing Association and Golding Homes. The work is being part-funded by the Big Lottery Fund as part of a programme of work called One Digital. 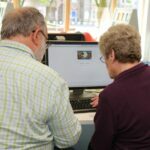 The overall aim of the new partnership is to improve tenants’ basic digital skills, and their confidence to access online opportunities and services. Almost half of those who are digitally excluded live in social housing. 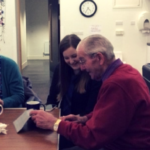 Continue Reading New digital inclusion partnership in Kent! Citizens Online has been working in Gwynedd since 2011. 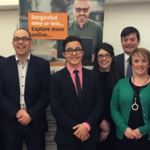 Digital Gwynedd has developed significantly over this time and today our hugely successful project and the value of the work has been recognised by both Gwynedd Council, who have provided match funding and an award nomination and runner up prize in the WCVA 2018 Third Sector Awards. The pressure to save money is acute for Local Authorities. 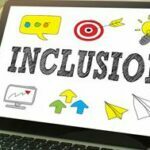 Citizens Online has extensive experience in developing localised, cross‐sector partnerships to ensure sustainable digital inclusion provision. Our experience suggests that digital inclusion needs to be embedded into service provision.